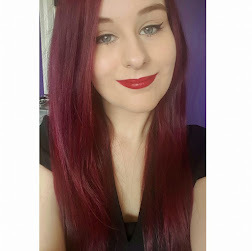 My name is Ellie (from over at http://beautybyelliee.blogspot.co.uk/) and I am a shopaholic. So yeah, I spent a teency weency bit more money that intended last week, and a problem shared is a problem halved right? 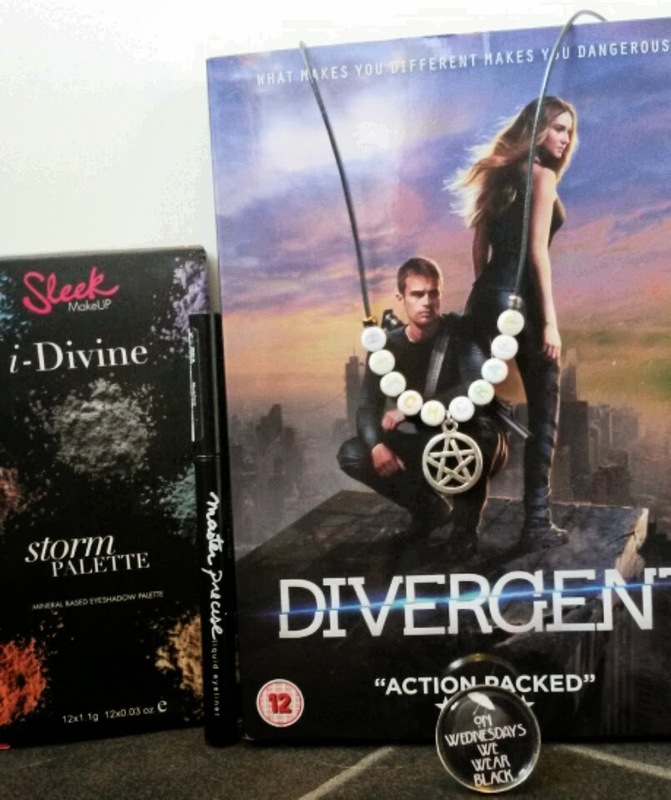 So I thought I would share what I bought with you lovely lot, on with the post! The first Item I have is from Hollister, and I must admit I haven't been in a Hollister shop in years, I didn't plan on buying anything but when I saw this Slogan top I actually loled. It was £22 and it is really soft and hangs off the body so nicely. It's also not plastered with the Hollister logo which I like. The last shop we visited was H&M and I bought two tops; A sheer, thin stripy grey jumper, and a lace trimmed floral tank top. I've worn these together and I loved how the lace of the top peaked out from the jumper. That's all I bought on this shopping trip, If you have enjoyed this post, feel free to check out my blog linked at the beginning. Thank you to Briony for having me guest post on her blog! After much consideration and debating with myself I have compiled by top 10 products under £10. The Body Shop Tea Tree Night Lotion £9.00- To go hand in hand with the face wash is the night lotion which moisturises the skin and helps blemishes. I like to apply this on my face then put dots of it on annoying spots over night to help keep them at bay. Natural Collection Corrector Stick £1.99- I never wear makeup without putting this on first. This is a green corrector stick that you put over redness on your face to counter out the redness. It doesn’t show through your foundation and helps enormously for a more balanced complexion. Collection 2000 Lasting Perfection Concealer £4.19- The concealer that every blogger raves about and the concealer that has been my holy grail for many years. It is a high coverage concealer that covers up redness, spots and dark circles like a dream. A product I definitely recommend! Real Techniques Expert Face Brush £9.99- Although this is only technically 1p under £10, it is certainly worth a mention! A super soft brush which does an excellent job at applying foundation for a flawless look. Maybelline Baby Lips Lip Balm £2.99- These lip balms are amazing! They moisturise, smell incredible and the ones that aren’t clear add a great tint of colour to your lips! My favourite one is Cherry Me as it gives makes my lips a subtle red when I want a more natural look or don’t have time to apply lipstick. Maybelline Color Tattoo Eye shadow £4.99- I always found eyeshadows never stayed on my eyelids until I found these. A cream eyeshadow that lasts on your eyes 24 hours without a single smudge. They offer some beautiful bright colours- my favourite is ‘Everlasting Navy’. Sleek i-Divine ‘Storm’ Eyeshadow Palette £7.99- 12 mineral eyeshadows with shimmer and matte shades to bring you from day to night. Great to travel with! Lush Rub Rub Rub Shower Scrub £8.50- My favourite body scrub. It smells like the sea and feels fresh on the skin. Great for a vigorous scrub on dry skin or a more gentle scrub on wet skin. Lush Bubblegum Lip Scrub £5.50- Another scrub for you: I buy this every year and like to use it after I have had a shower. The great thing about this lip scrub is that it is sugar based and exfoliates all the dead skin off of your lips. Then afterwards you can just lick off the excess which tastes just like bubblegum! Excellent for using before you apply lipstick for a smooth finish and longer lasting stay power. So those are my top 10 under £10! 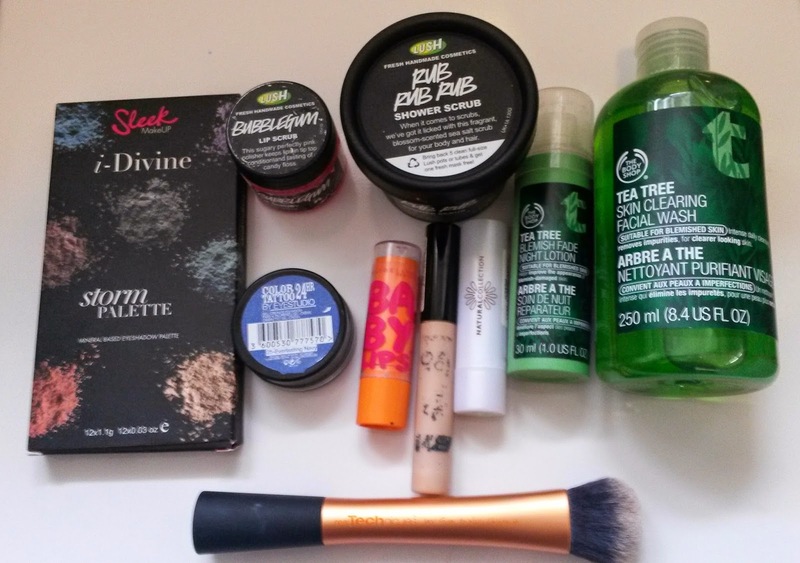 I use all of these products regularly and would repurchase them if I haven’t already. It was so difficult to choose only 10! Do you use any of these products? Let me know! This is my current liquid eyeliner. 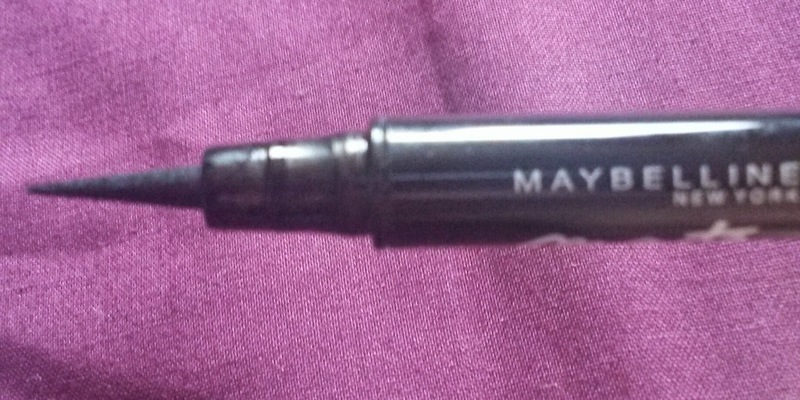 It is the Eye Studio Master Precise Ink Pen Eyeliner in black from Maybelline at the reasonable price of £5.99. This eyeliner claims to never skip, never dry out and to be easy to use with the 0.4mm brush for defined black lines. It also claims to be suitable for sensitive eyes. So what do I think? Well to begin with, I have sensitive eyes and it doesn't irritate them which is positive. I also really like the thin brush as I find it the easiest brush I have ever used for eyeliner! I pretty much daily like to have winged eyeliner but I always struggle with doing the wing. However, with this brush it is much easier- I can create really defined tips and lines and do the wing almost immediately! So I believe it is perfect for those who struggle with eyeliner like I always did. Another thing I like about the brush is that it is easy to sweep a line over your eye with one stroke without skipping. If you begin in your inner corner with the tip you can draw a slight line then as you bring it out if you lean more on the brush the line becomes thicker. This is such a nice effect and looks tidy without taking too much time. BUT, I do have an issue with it. Although the eyeliner on my eyelid lasts all day without fading, I cannot say the same for the wing part. By the end of the day the wing is slightly cracked, dry and faded along with losing the intensity of the colour. To resolve this I go over the wing and wing only hours later just to bring it back to life. It isn't particularly noticeable from afar but when you're up close you notice the issue. Overall this is the best eyeliner brush I have used and I find it really easy to do winged eyeliner everyday. Although the wing fades and you have to reapply, it is still quite a good eyeliner. I would like to look for other eyeliners where the wing actually stays the same all day but I would also buy this eyeliner again because I can get over the issue for how easy it is to use. I have been using this mascara for a long while now so it's about time I reviewed it. I had been wanting this mascara for ages so when I received it has a present I was really excited. The packaging is absolutely beautiful and the name 'Miss Manga' made me have hope for bold, long lashes like the girls in manga illustrations have. I got the colour black but there are also the colours turquoise and purple available. How cool is that? Another intriguing thing about the mascara is the brush. Firstly is an interesting shape, as I best describe as like sound waves, and secondly it is a flexible brush that can bend around. So what do I think? Well, I love it. I believe this is certainly the best mascara I have ever used for long and bold lashes. I love how when you use the brush the flexibility of it means it moves with your lashes as you apply the mascara and ensures it gets the entire length of your eyelashes. Furthermore the smaller bristles at the end are perfect for getting little eyelashes and the ones in the inner corner of your eye. In addition I don't find any clumps either. Fantastic! My only problem with the mascara is that I cannot use it on my lower lashes. Although on the mascara it says for upper and lower eyelashes I find that although it looks good on upper and lower, the mascara on the lower lashes smudges quite quickly on to my face. To resolve this problem I use a different mascara for my lower lashes, which right now is Max Factor False Lash Effect. Overall I really love this mascara and would also like to try the turquoise one as it looks both fun and beautiful! L'oreal Miss Manga Mascara is £8.99. Have you used this mascara? Let me know! I have been using this top coat for a couple of months now so I thought it was about time that I reviewed it for you. I have mixed views on this top coat to be honest. I love the packaging, the idea and the way it applies. 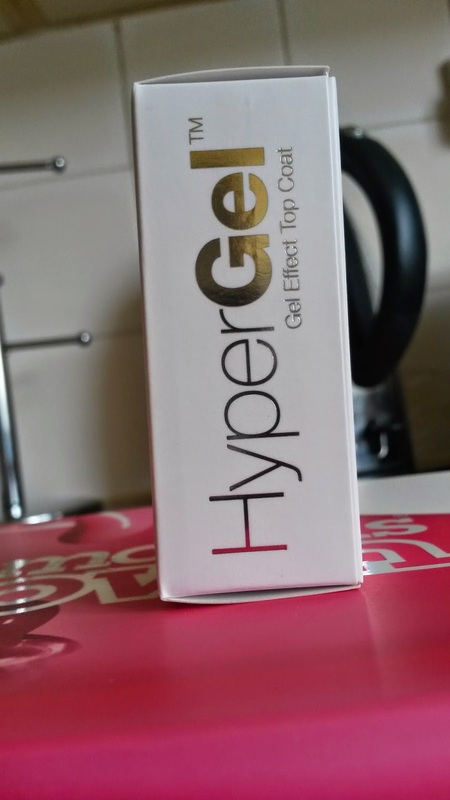 However, I don't believe it creates the 'gel effect' it claims to make. I use this on Models Own nail varnish and other brand of nail polish yet don't notice it looking like gel nails. 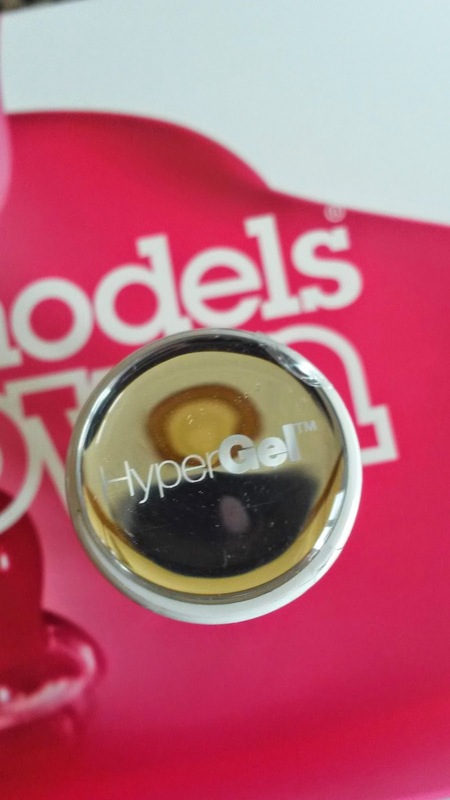 This is really disappointed me as I love the gel effect and I love the other nail polishes in the HyperGel collection. As a top coat however it works and creates a nice shine. Despite this the lasting power isn't as good as other nail polishes so for the price of £7.99 I wouldn't bother buying it. Luckily for me I won this in a competition so I am not out of pocket but nevertheless it was still nice to try. Have you used this top coat? What is your favourite top coat? Let me know! 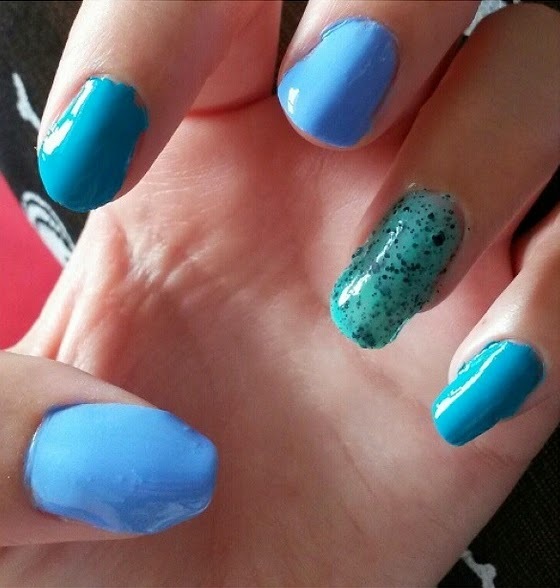 Although my ring finger is a speckled green, I decided it was pretty similar to the two shades of blue on my other fingers. These colours worked so much better together than expected and I received a lot of compliments on them! PS- Sorry this is a short post! I have been super busy trying to do a big essay for University stuff so I haven't had any free time. I was hoping to find someone or some people to do some guest posting for me so I could take a break to concentrate on my work but I have had no such luck. So for the past couple of months now I have been using pretty much every day the Max Factor False Lash Effect Mascara which you can get in black, 'brown black' and waterproof. 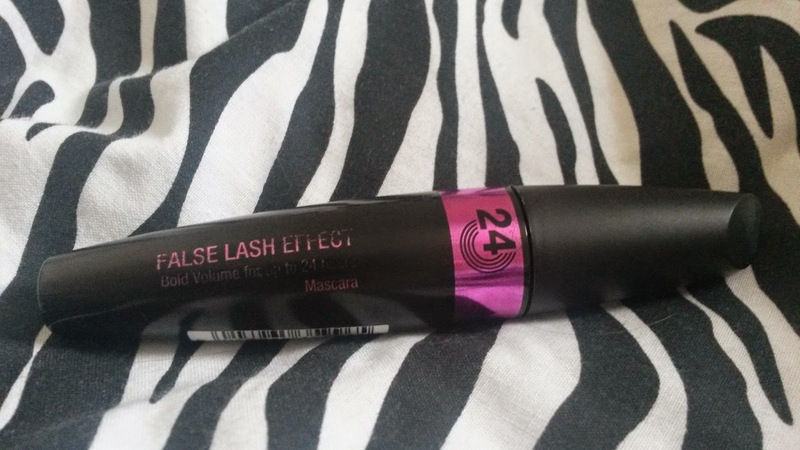 This mascara claims to create a false lash effect and last for 24 hours without smudging. I was going through a problem with my mascaras as I was finding that they all seemed to be smudging to underneath my eye quite low down which was both visible and annoying. So when I was going through my Mum's mascaras to find one to use for a night out, I ended up finding this one. What had drawn me to it was the fact that it claimed to last 24 hours so I hoped that meant it wouldn't smudge. My hope was correct. My mascara did not smudge! This impressed me so much I carried on using it and called it my own. Sorry Mum! The mascara has quite a thick brush with thick, big bristles. I prefer brushes like this and I found it easy to use on my upper and lower lashes. It also made my eyelashes very black which I like and it did not leave clumps or clump my eyelashes together. The only issue I can find with this mascara is that I do not particularly agree with the false lash effect. My lashes did not feel volumnised and I certainly did not look like I had amazing eyelashes. They just looked normal only a deep black colour. Other than that I like the mascara and I am glad I found it. It doesn't wow me enough to be calling it a staple piece that I NEED to buy again but if there were no other mascaras I wanted to try I would buy it. I would recommend it to a friend if they had the same problem as me with smudging though and I would buy it for someone as a gift. You can buy this mascara from your local drugstore for £10.99. Have you used this mascara? What do you think? Let me know! So I know this is quite a late August Favourites post but I have been super busy the past week! 1. Sleek i-Divine Storm Eyeshadow Palette- This palette has served me well this summer! It takes me from day to night and is a fantastic price. A review will be coming your way soon! 2. Maybelline Master Precise Liquid Eyeliner- This black eyeliner has been my go to pretty much everyday this Summer. I can do such precise winged eyeliner! A review will be here soon. 3. Divergent (DVD)- As a huge fan of the books and as someone who went to see the film the day it came out (which just so happened to be the day after my birthday), I of course had to buy the DVD the day it came out. I recommend the books and the film immensely! 4. HorrorStop American Horror Story 'Bitchcraft' choker and 'On Wednesdays We Wear Black' ring- American Horror Story is one of my favourite TV programmes and as soon as I saw this ring and choker on the Etsy page HorrorStop I just could not resist! What were your favourites for August? Let me know! Today I thought I would share with you a small wishlist I have for the brand Make Up Revolution. Lately I have been hearing a lot about them from Bloggers and after checking them out I couldn't help but make a list of the items I really wanted! What's super good about Make Up Revolution is that their prices are very cheap and can be bought in Superdrug so you can check their products out face to face for yourself. My ultimate wish is for the Color Chaos palette. Ever since I saw a review on this palette I knew I had to have it! The colours in it are brilliant and I have heard so many good things about their eyeshadows. What is even better is that this palette is only £6! I am definitely going to buy myself this. Then these are those two lipsticks. The blue one is called Immoral and the purple one is called Depraved. Although I have seen some bad reviews about how this are difficult to apply I cannot help but be in awe of the vibrant colours! I have been wanting for ages to try out a blue lipstick and I am already a huge fan of purple lipsticks. And at the price of £1 each, you can't really go wrong can you? Even if they are bad on the lips I won't feel out of pocket. As you can tell from this mini wishlist I am craving bright, crazy and vibrant colours right now. To me the brand seems like they would offer some great gifts to give to people too at their inexpensive prices! 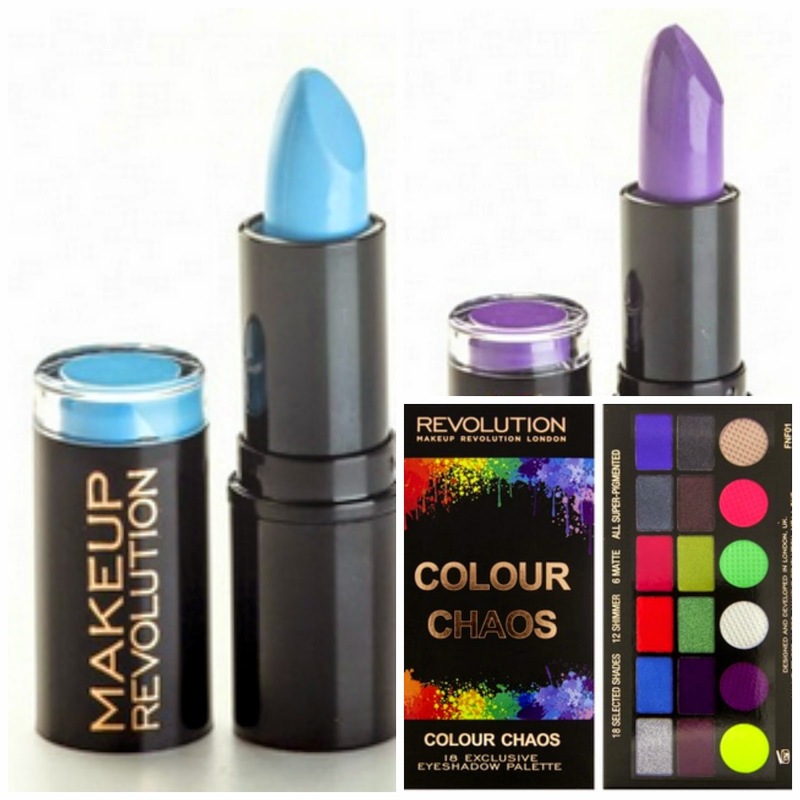 Do you own anything from Make Up Revolution or are you lusting after anything? Let me know!